1878– The origin of the current capital allowance regime was a wear and tear deduction, based on the actual reduction in the value of Plant or Machinery (P&M). 1945– ‘Income Tax Act’ introduced a system of capital allowances to encourage post war reconstruction, establishing concepts such as initial allowances, WDA’s, balancing allowances and charges. For this time WDA’s for P&M were set at 25%. 2001– The ‘Capital Allowances Act 2001’ (CAA01) reformed the Legislation to make it readily accessible for all. 2008– Introduced Annual Investment Allowance (AIA) at 100%, resulting in a special rate pool for items classed within the CAA01, a great incentive for commercial buyers. Annual Investment Allowance is a Tax Accelerator designed to provide commercial buyers a further incentive to purchase and develop property. AIA allows for a greater tax relief by increasing the first years WDA from the current 18% to 100%! 2008– Additions to the classification of intrinsic fabrication of the integral features made to existing qualifying assets. “Embedded in the building structure, but essential to the business”. 2012– The introduced Finance Act meant that the seller and buyer have a two year time limit in recognising and accounting for fixtures, and the seller must pool its expenditure on fixtures within 2 years, otherwise the buyer may be restricted in the allowances he is able to claim in the future. April 2014- Mandatory “Pooling Requirement” and “Fixed Value Requirement (FVR)” means that from this point forth, any vendor who could have claimed capital allowances but has not, must have pooled the expenditure on the fixtures of the property by the time that the tax return is finalised for the year in which the property was sold (maximum 21 months good grace). Failure to satisfy the pooling requirement will result in the qualifying expenditure incurred by the buyer being deemed as nil. This means a purchaser cannot Claim any available tax relief on their commercial property! 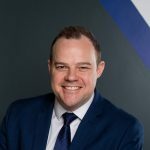 If the Capital Allowance position is not understood or discussed prior to the point of a commercial sale, all possible Capital Allowances opportunities moving forward are now lost! 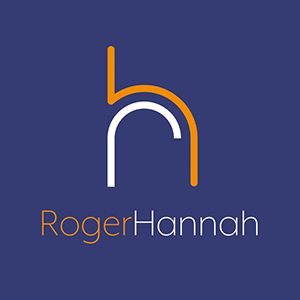 At Roger Hannah, we pride ourselves on understanding how to maximise Capital Allowances claims on behalf of our clients, and as our fees are contingent based and performances related, is there really any reason as to why you would not investigate if your portfolio (or potential new commercial purchase) holds any of the valuable tax relief?